Two suspects involved in the Wednesday afternoon robbery of the Iowa State Bank in Le Mars have been identified as 32-year-old Phillip White and 35-year-old Karen Merrick, both of Sioux City. The pair have been charged with eluding, 2nd degree robbery, and first degree theft. According to court documents, White is also suspected of stealing a car at gunpoint in Sioux City on December 6. 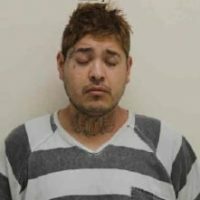 He’s also facing 2nd degree robbery, second degree theft, and possession of a controlled substance in Woodbury County in connection with an October 12 armed robbery of a Sioux City cab driver. He has pleaded not guilty. White was also arrested in Plymouth County on October 11 for carrying weapons, possession of a machete with an 18” blade. No plea has been made in that case. The amount of money stolen in the robbery has not been disclosed, but authorities say all of it has been recovered. The case remains under investigation.